Amit Sethi is a principal consultant at Synopsys. He specializes in mobile security, online game security, and cryptography. 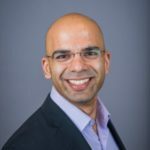 Amit’s work includes extracting cryptographic keys from embedded devices using side-channel attacks, designing mechanisms to make those attacks more difficult, and designing a format-preserving encryption algorithm based on well-studied cryptographic primitives for a Fortune 500 company. Even in his free time, Amit enjoys reverse engineering binaries, analyzing open source software, and experimenting with new technologies. Are Android OEMs responsible for the gap in mobile security updates? Posted in Mobile Application Security | Comments Off on Are Android OEMs responsible for the gap in mobile security updates? Did an Apache Struts vulnerability trigger the Equifax hack? Posted in Data Breach, Open Source Security | Comments Off on Did an Apache Struts vulnerability trigger the Equifax hack? What can your firm learn from the unfolding Equifax hack? Posted in Data Breach | Comments Off on What can your firm learn from the unfolding Equifax hack? Sweet32: Time to retire 3DES? Posted in General | Comments Off on Sweet32: Time to retire 3DES?